It’s any influencer’s dream to work with brands they love; it’s not only a fun way for them to earn an income, but it’s also great for building professional (sometimes even personal) relationships and growing their audiences. 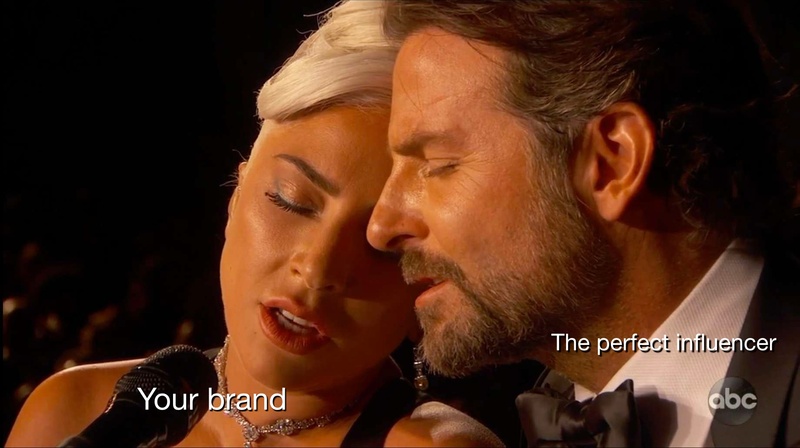 But as a brand, do you know what they’re looking for in brand collaborations? More importantly, do you know how influencers can help drive traffic to your website and increase sales? Whether your brand is a growing business or a social media heavyweight, we’re here to bring into light five things influencers will look for in brand collaborations. It goes without saying that – whether you’re a business person or not – there’s a level of professionalism that is expected when communicating with potential collaboration partners, and it goes beyond spell-checking your content and captions, or replying to emails in a timely manner. It’s respecting that both parties have deadlines and goals, and when either party responds or publishes content late, it can interfere with each other’s plans. It’s important that an influencer knows that you will treat them with professionalism. After all, respect is key, and the right influencer will bring a lot of traffic, engagement, and sales your way. 2. Can You Give a Relevant Angle? Considering how popular influencer marketing has become, influencers nowadays have to work extra hard to find their unique angles in order to ‘stand out from the crowd’. That’s why the first question they often ask themselves, when they receive emails from brands, is “Is this brand a good fit for me?” Having an authentic narrative between a brand and an influencer helps to sell the product or service more convincingly, and it also allows followers to better connect with the story too – no-one likes to see sponsored content that sticks out like a blatant advertisement! It’s important that you don’t just reach out to the first influencer you see. If you do your research, as time-consuming as it may be, and get the selection right, both you and the influencer will benefit. 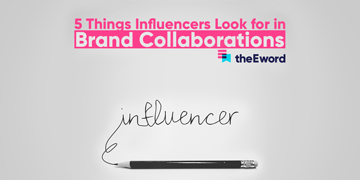 As much as you may think it is, a brand collaboration isn’t always mutually beneficial – or in the influencer’s favour, for that matter. See working with (and remunerating) your influencer as an investment, the same as you would a PPC campaign or a Facebook ad. No-one likes to work for free, so if an influencer can add value to your marketing, why should they be expected to? Although there are influencers who will be happy to work in exchange for exposure, no-one worth their salt will work for free. If you’re not prepared to offer payment, the least you should be offering is free products, tickets, vouchers, or something to review – because free doesn’t pay the bills. That said, newbie bloggers probably won’t feel as confident in charging brands, but more experienced influencers will happily weigh the costs and benefits of a potential collaboration and initiate negotiations if necessary. Most of the influencers who are making money from their blogs or social media accounts have some sort of experience in media and content creation – and they expect the same from brands that reach out to them! As a business owner, you should aim to include content as part of your marketing strategy, and that’s where influencer marketing comes in very handy, since influencers are often also bloggers or content marketers. So the more a brand understands an influencer’s craft, the easier it is for both parties to get on the same wavelength – and it really helps to build a harmonious working relationship when both the brand and the blogger speak the same language. Key tip: Have a clearly defined content strategy that you need an influencer to fit into. There is no point commissioning an influencer for the sake of it; you need to know exactly what you want to achieve by working with them. Last but definitely not least, influencers are constantly on the lookout for possibilities to attract and retain wider audiences – and it’s no different when it comes to brand collaborations. Whether they’re working with famous businesses or fellow bloggers, the goal is to expand their reach, and they’ll most likely favour a brand that’s able to offer that. But what do we mean by ‘growth’? Growth is not always monetary, though: we suspect most influencers would feel rather accomplished if they drove enough traffic through an affiliate link to crash the brand’s website. It can be anything as simple as driving new followers to their Instagram accounts or creating a positive relationship between the influencer and the brand’s followers. Speaking of which, while many influencers value high follower-counts, the more savvy ones are paying more attention to engagement rates to determine whether or not a brand has an engaged followership and if they’re worth collaborating with. Want to get started on an influencer campaign but need more encouragement? 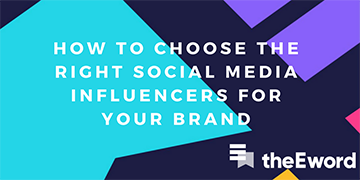 Watch a webinar hosted by our influencer marketing expert Michael Palmer, where he covers everything you need to know - from choosing the perfect influencers to work with, to ensuring you get the best ROI. Would You like to Collaborate with Brands or Influencers? Then you’ve come to the right place! Did you know that we have an influencers network? 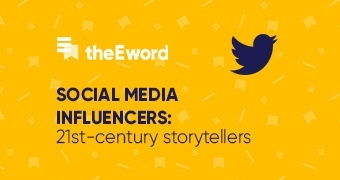 On our website, you can find out more on how to amplify your brand’s story through influence marketing and join the community of North West-based influencers. If you’re not sure whether working with influencers is the right way forward, then you should really read this blog on all things influencer marketing. So, whether you’re a brand looking to collaborate with influencers or you’re an influencer who is seeking collab opportunities, we want to hear from you!